As I get older I am even more aware of the small changes in my body and how they affect my abilities. Just as our bodies give us clues that there might be something wrong, our car’s transmission will give us signs there might be problems. I’ve listed here five clues that your car might have transmission problems. The easiest clue to help us spot possible transmission problems is leaking transmission fluid. Automatic transmission fluid is essential to keep your car shifting properly. 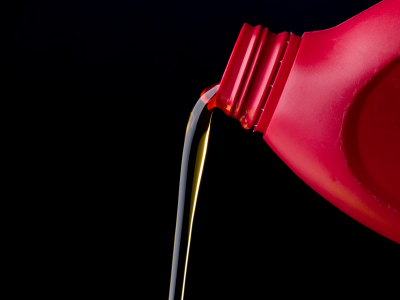 Transmission fluid is bright red, clear and smells sweet when everything is working correctly. Unlike motor oil, transmission oil isn’t burned up when it’s used, so if you are low on fluid, it has to be leaking somewhere. It’s a good idea to have your transmission fluid checked at least twice a year, just to be safe. Another clue there might be transmission problems is when you are starting your car. A transmission in need of repair will have trouble turning over or may stutter before turning over. If this is the case, it could be a simple problem like moisture in the electrical wires or a bigger problem in the transmission. Have your mechanic test the electrical system and the transmission if you notice these clues. Every car is built differently and emits different sounds while the engine is running, but usually clunking, whining or humming is a clue there might be problems. 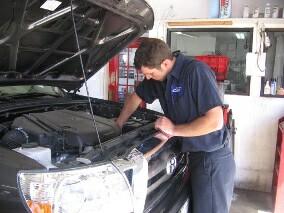 If you notice a sound that you haven’t heard before, have your car checked out by a professional. Just as your car shouldn’t make unusual noises it shouldn’t be grinding or shaking either! Your car shouldn’t grind or shake when you start it or while it’s changing gears. Both are signs that your transmission needs attention. If you notice anything besides a smooth transition between gears, then you might have transmission problems. The check engine light is the quickest way to alert you to any problems in your engine. Most cars use electrical and computer systems to monitor the proper functioning of the transmission. If the check engine light comes on, check if there are other clues to help you assess if the problems you’re having are related to your transmission. If you’re in doubt, take your car to a trusted and qualified mechanic to determine whether or not your transmission is in need of service. Your transmission is the one piece of equipment that is multi-faceted. It controls everything from shifting your car from gear to gear, to controlling how fast you are going. While you may never change out a transmission or spend time learning how it works, there are some tips to help you with transmission troubleshooting, and knowing when its time to call in a mechanic. While there are many pieces that make up a standard automatic transmission system, all transmissions have a few basic parts. Low fluid level, which causes your car to shift poorly, and can eventually lead to transmission damage. A leak within the system. This is usually easy to spot because transmission fluid has a red tint. A clogged filter, which limits the cars performance. Because of the many parts associated with a transmission, and the specialized tools you’ll need for troubleshooting and fixing, it’s usually best to leave it up to a professional. A professional understands what can be causing the problem, and can usually spot the problem quickly. They will test a variety of things before moving on to a rebuild or replacement. Has your car lost its get up and go? Here are five things to look for if you think your car might have transmission trouble. Lack of Response- Your car shouldn’t hesitate when shifting or refuse to go into gear. 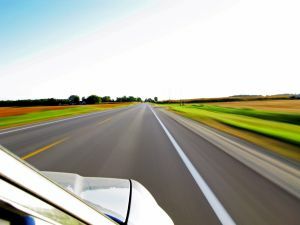 If the engine speeds up when you step on the gas pedal but the car doesn’t, or if the car’s passing gear won’t engage, those could be signs of trouble. Whining, Clunking or Humming- Your car should shift quietly when it’s running correctly. The sounds can vary but you should have your car checked if you notice new noises that can begin irregularly then grow in frequency. If caught early you can avoid costly repairs. Grinding or Shaking- Your car should shift smoothly from gear to gear. If you are experiencing any jarring or shimmying when your car shifts you might have transmission trouble. Check Engine Light- Newer cars have sensors that pick-up small irregularities in the engine and notify the computer that something is wrong. These sensors can detect vibrations and early problems that you can’t even feel or see. The check engine light can also alert you to other issues that might be going on with your car. Leaking Fluid- Transmission fluid is vital to your car’s shifting ability and should be checked regularly. The transmission fluid should be bright red, clear and smell sweet if parts are working correctly. The fluid shouldn’t be dark in color or have a burnt smell. Unlike motor oil, transmission fluid isn’t burned up so if the fluid level is low it is very possible you could have a leak. The transmission fluid runs through a filter to help keep it clean. This filter should be replaced according to your manufacturers recommendations so it doesn’t become clogged. Just being aware of the signs of possible transmission trouble and looking out for them can help you keep your car on the road and running smoothly. No one likes to hear the dreaded words, “Your transmission is blown.” Your cars transmission is responsible for most of its engine functions and capabilities. As soon as a car’s transmission requires repair, most car owners see dollar signs adding up. Catching a transmission problem before it becomes a transmission disaster could be the difference between a five hundred dollar fix and a five thousand dollar overhaul. Stay on top of your transmission by keeping an eye out for key signs of transmission trouble. One of the tell-tale signs of transmission problems is trouble on starting. A transmission in need of repair will have trouble turning over or may grind upon ignition. If your car stutters before turning over, it could be simple problem like moisture in the electrical wires or a much bigger problem like a transmission in need of repair. If your car seems to have trouble starting, it’s best to have a mechanic test the electrical system and check the transmission. When a car is in motion, acceleration problems or stuttering are signs of a problem with the transmission. Vibrating, stuttering or trembling during acceleration or deceleration could indicate serious transmission trouble instead of the simpler problem of poor tuning of the engine. You might also notice that the engine fails to engage even though you apply pressure to the gas pedal. Any of these experiences during driving could lead to a more serious problem like complete engine failure. Usually fluid leaking from beneath the car is oil, but occasionally a car may leak transmission fluid used to lubricate gears inside the engine. A transmission fluid leak can cause the engine to overheat and cause permanent damage to electrical systems. Small leaks can be repaired by mixing a stop leak solution into the fluid while major problems needs to be handled by a mechanic. If all else fails, you can always refer to your check engine light to alert you to any problems in your engine. 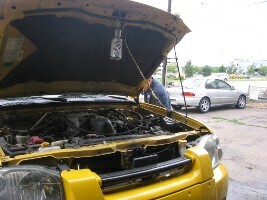 Most cars use electrical and computer systems to monitor the proper functioning of the transmission. If the check engine light comes on, assess the rest of the car’s performance to determine if the engine trouble is related to a transmission problem. 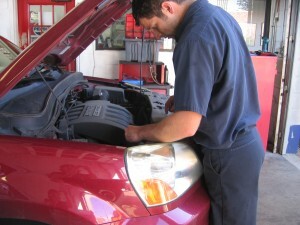 When in doubt, take your car to a qualified mechanic to determine whether or not your transmission is in need of repair. Your transmission is the one piece of equipment that is multi faceted. It controls everything from shifting your car from gear to gear, to controlling how fast you are going. While you may never change out a transmission or spend time learning how it works, there are some tips to help you with transmission troubleshooting, and knowing when its time to call in a mechanic. A leak within the system. This is usually easy to spot as transmission fluid has a red tint. A clogged filter, limiting the cars performance. Because of the many parts associated with a transmission, and the specialized tools you’ll need for troubleshooting and fixing, it’s usually left up to a professional. A professional understands what can be causing the problem, and can usually spot the problem quickly. They will test a variety of things before moving on to a rebuild or replacement.